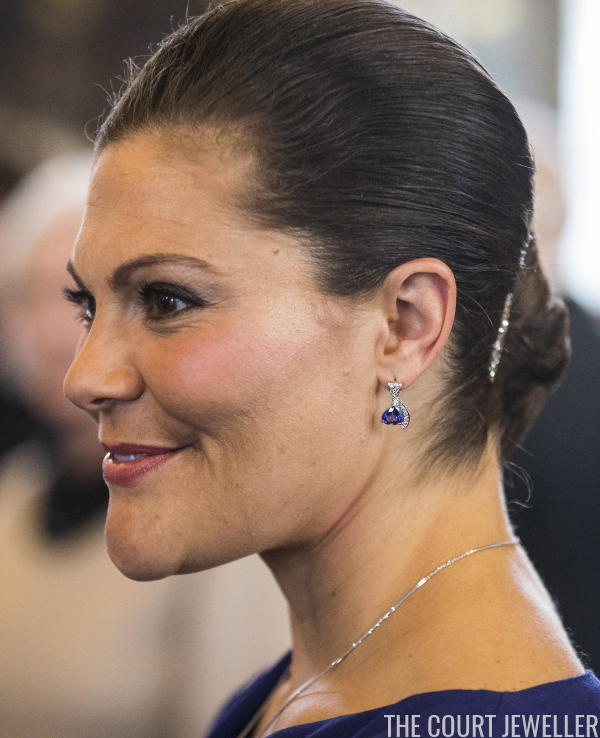 Crown Princess Victoria of Sweden attended the Royal Patriotic Society's annual event at Riddarhuset on Tuesday, and she brought along a suite of sparkling jewels for the occasion. 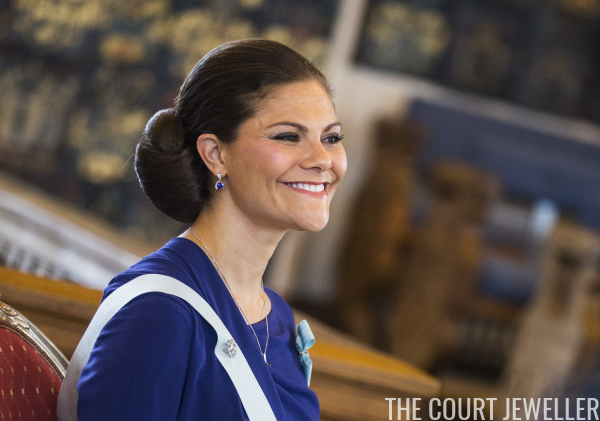 Although she wore the sash and star of the Order of the Seraphim, the event did not call for tiaras; even so, you can see a hint of a sparkling diamond ornament in her hair. 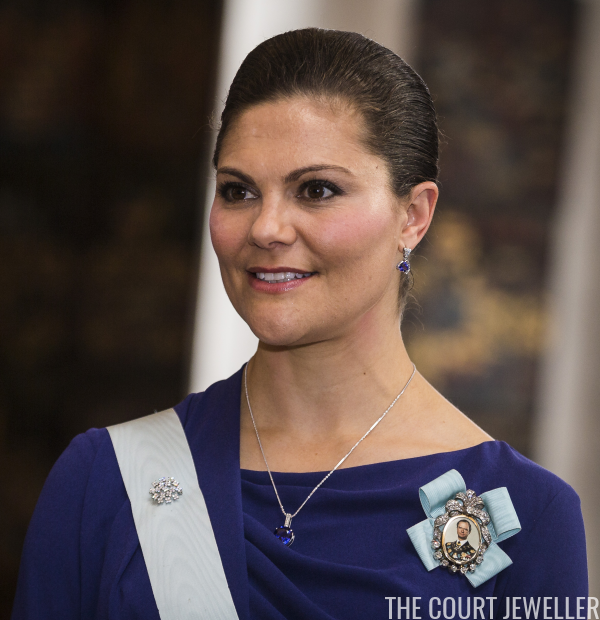 Her modern earrings are set with diamonds and vivid blue gemstones. I'd wager that these are tanzanites. She also wore a matching pendant necklace. The necklace often was lost a bit in the draped folds of Victoria's gown. 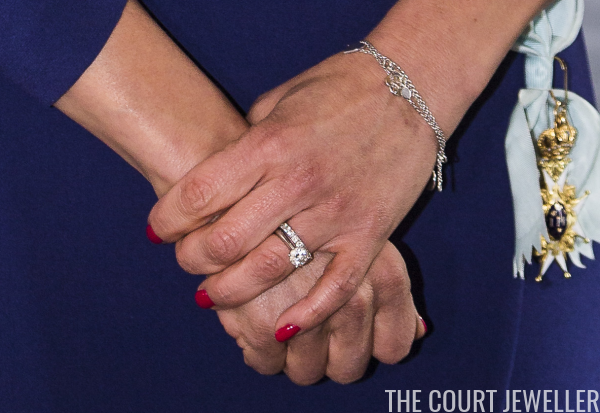 A set of delicate silver bracelets adorned her left wrist. She also wore her engagement and wedding rings. 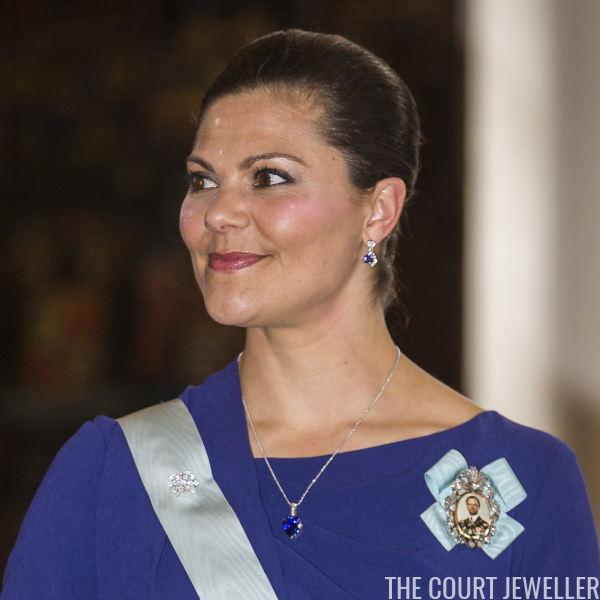 She secured the Seraphim sash with a small diamond brooch. Her father's family order was pinned to her left shoulder.